A delightful hanging decoration designed by Gisela Graham and inspired by Tchaikovsky’s Nutcracker ballet. Gisela Graham Christmas Nutcracker Clara Pink. 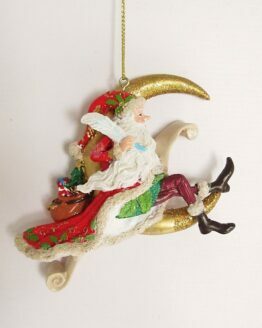 A delightful decoration from the Nutcracker range by Gisela Graham. Bring alive the tradition of Christmas ballet with these charming characters. Pack away in tissue and bring out every year to create your own family traditions.